Black Friday and Cyber Monday may be in the rearview mirror, but that doesn't mean the best deals of the year are entirely behind us. In fact, the latest discounts unleashed by eBay are actually better than the best Black Friday and Cyber Monday had to offer. The latest discount code slashes 15% off almost everything on the auction site. Add the discount code PRESENTS at checkout will drop the UK price of items in a number of high-profile categories on eBay, including video game consoles, laptops, smartwatches, skiing and snowboarding, virtual reality, and toys and games. Using the discount code will drop the price of a brand-new Nintendo Switch to less than the price tag of the console on Black Friday. 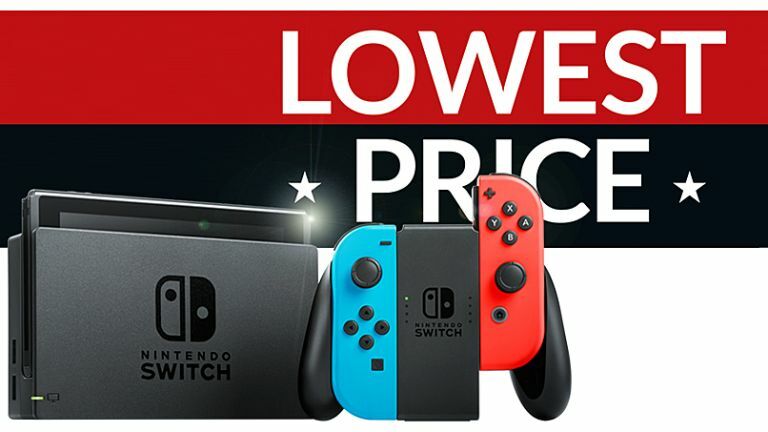 Whereas the best deal on Black Friday was a reduction fo £30 down to £249 on Amazon UK, those shopping on eBay today can pick-up the Nintendo Switch Neon Red/Neon Blue Console for £237.99. That's a whopping saving of £41. Since your console order is fulfilled by Currys PC World, you don't have to worry about all the usual worries around seller feedback, extortionate delivery charges, returns policy, the condition of the device. It's the same as buying from your local high street store – except that you're saving a small fortune. Bargain. But it's not just the Nintendo Switch that's worth a look if you're bargain hunting in the weeks running up to Christmas. There's also some awesome discounts to be had on the VR headsets, snowboards, or an Apple Watch Series 4. So, what's the catch? Well, the PRESENTS discount code isn't sitewide, but is instead limited to 20 popular product categories on eBay, so don't go holding your breath for a 15% discount to the engagement ring or new Tesla you've been waiting to buy. Also, there is a £20 minimum spend required for the discount code to kick-in, and the maximum discount you'll be able to get on your order is £50. And that's all the small print. If you're interested in unlocking this bumper discount, you'll need to be fast. The promotion is only available until midnight on Thursday November 29, 2018. The full list of categories eligible for the PRESENTS discount code are: Furniture, Video Game Consoles, Laptops & Netbooks, Video Games, Computer Components & Parts, Men's Clothing, Men's Shoes, Heating, Cooling & Air, Camera Lenses & Filters, Women's Clothing, Women's Shoes, Smart Watches, Computer Monitors, Projectors & Accs, Skiing & Snowboarding, Toys & Games, Fireplaces & Accessories, Celebrations & Occasions, Scooters, Virtual Reality, and Camcorders.